So this is going to be a quick one. Why? 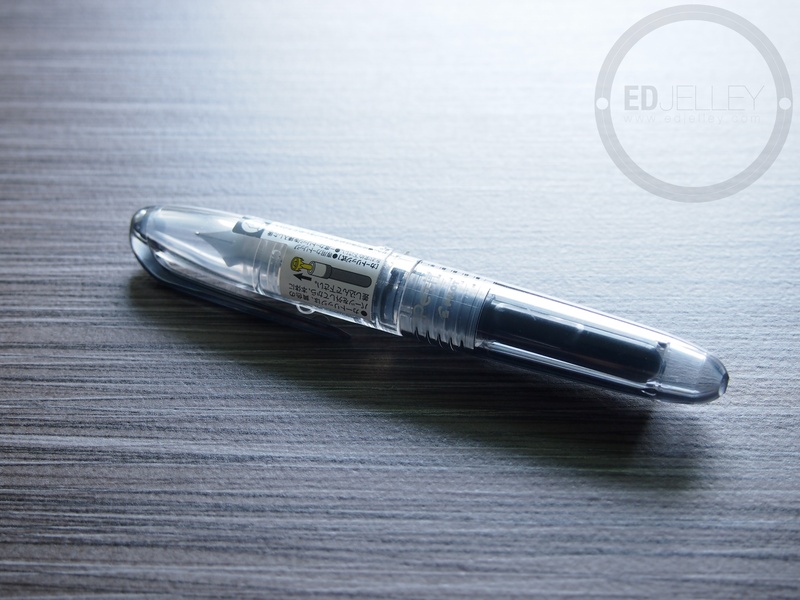 Because it’s a sub-$4.00 “disposable” pen that’s totally worth buying. This pen was sent to me by a reader of the site (thanks Faith!) and I’m glad it was. 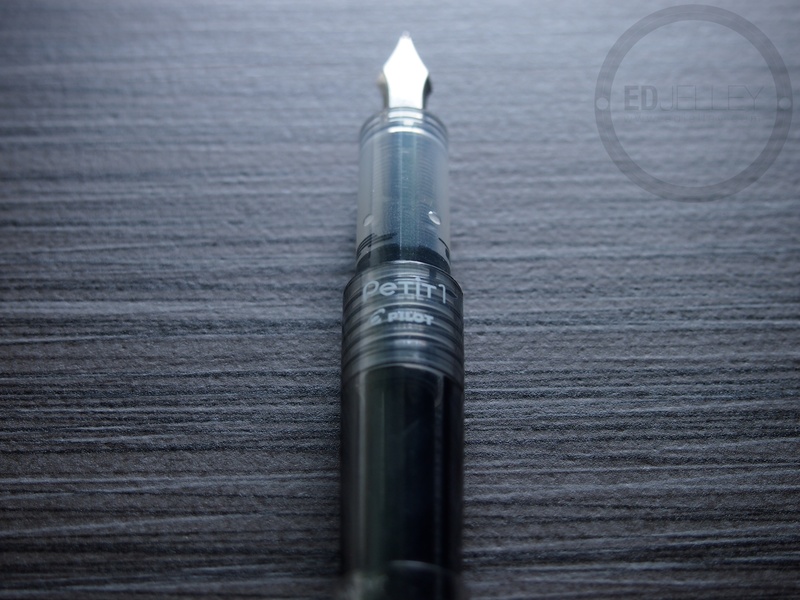 The Petit1 writes shockingly well, given its price and demeanor. If you’re in any way on the fence about it, pick one up. They’re great for throwing in a bag, or pocket, and it’s not the end of the world if it gets lost. The Petit1 is small. It’s a pocket pen that really needs to be posted in order to comfortably write with. The nib is nothing special in the looks department, but it performs quite well. The body is made of a clear plastic, some of it completely clear, and some tonally matched to the color of ink that’s inside. I have the black model, so the plastic is clear and a smokey grey. The Petit1 is pretty much the same size as a Kaweco Sport when posted or capped, but it’s a good deal smaller when uncapped / unposted. Overall, the pen is on the shorter side of comfortable for me, but I’m okay with it. I loaded the Petit1 with the included Pilot black cartridge that came with the pen. It appears that there is some felt or cloth material running through the feed to help the ink get to the nib quickly after putting in the cartridge. It really does work. The second I popped the cartridge in, I saw the ink run down the channel, and the pen was ready to write within seconds. This is great for the first time using it, but if you were to flush the pen out and put another ink in, I would be afraid of residual ink in there. I’ll have to try and report back when the cartridge is empty. The ink flow is good, and the nib is surprisingly smooth, especially for something that’s not meant to be around for years and years. 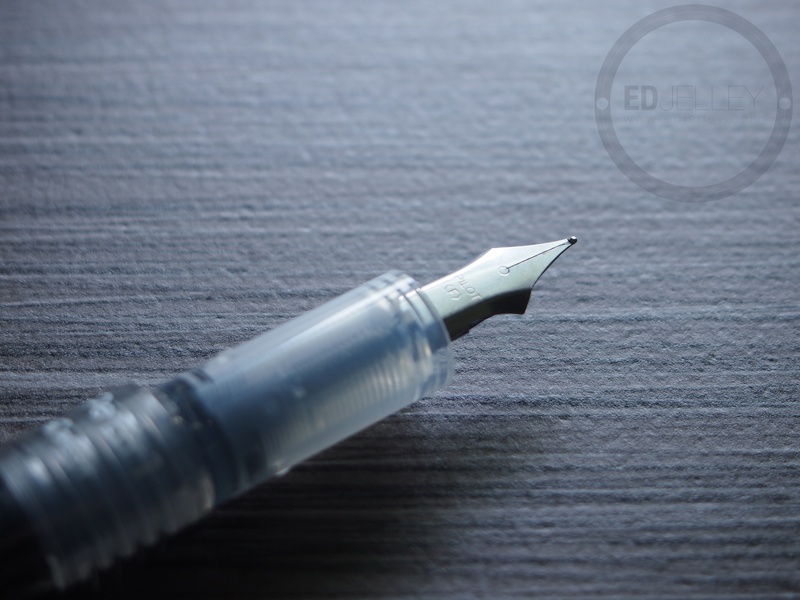 The nib is similar to the Pilot Varsity (if not, the same – I didn’t have one handy at the time) except this one is Fine, as opposed to the Varsity’s default Medium. The Pilot Fine nib lays down a nice line that’s very smooth. Overall, it writes like a much more expensive pen. Not too much to say here. 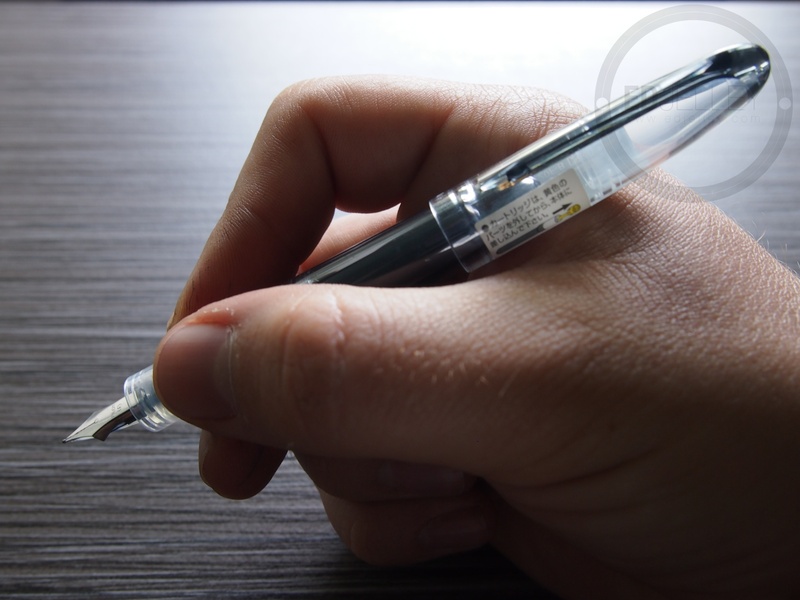 The pen is made out of cheap plastic, and it’s very small. 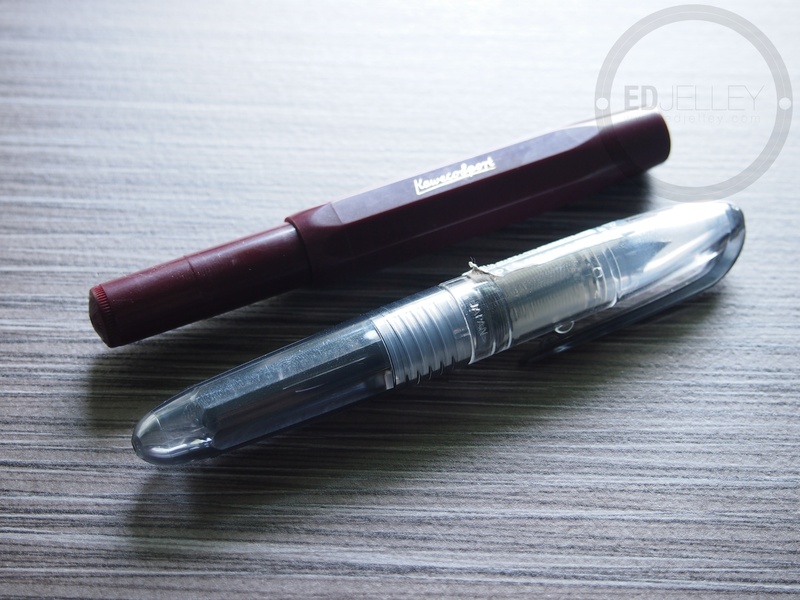 Size-wise, it’s about the same as the Kaweco Sport, but feels cheaper. The long cap on the Kaweco posts perfectly and there is no wiggling. The cap on the Petit1 doesn’t post quite as securely, and there is some give if you grip the pen tighter. Once again, keep in mind that the Kaweco is $25-$30, and this pen is under $4. It feels nice in the hand, and people with smaller hands, or fans of the Kaweco Sport will really enjoy this one. The clip on the pen does not appear to be the most sturdy, so take caution when clipping it onto thicker pockets, notebooks, or bags. The plastic is a nicer than the Platinum Preppy though. I was always worried about mine cracking in my bag and I have read horror stories. The plastic on the Petit1 is less brittle, and I think it will hold up better. Did I mention that this was $3.80? 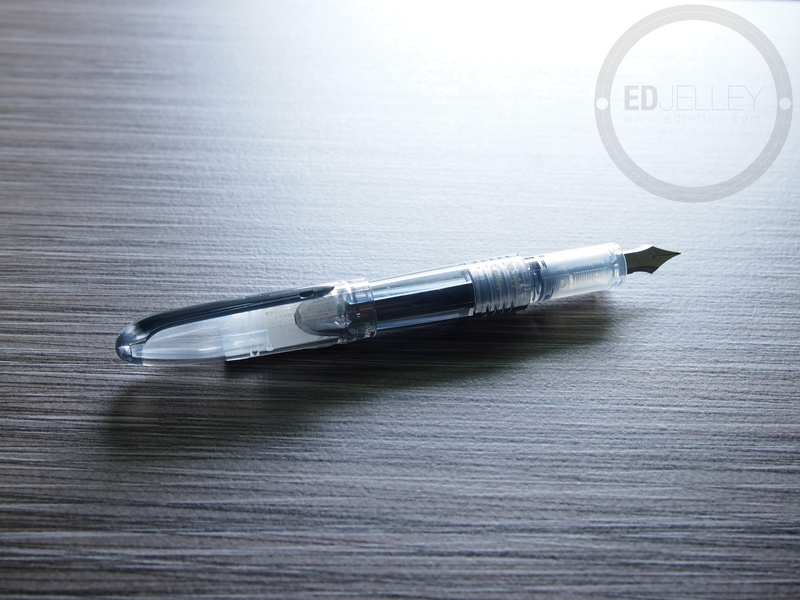 For a cheap pen that writes as well as this one, it’s super easy to justify purchase. It’s sturdy enough, comes in a variety of ink and body colors, can be made into an eyedropper…and the list goes on. It’s a great pen that everyone should try. It’s nice having something that writes this well without having to worry about losing or breaking it because of it’s low price tag. I really can’t complain about a $3.80 pen that is as fun to use as this one. Recommendation: Just get one. Or two, or three. You won’t regret it. Pen Storage – DIY and Cheap! I have 4 of them and will probably buy more. I’ve converted one into an eyedropper and it is a bit of a pain to flush it out completely but it can be done. I still need to try it out, waiting for this cartridge to run dry first. I’m still a bit apprehensive about carrying around eyedroppers, especially cheaper ones. No embarrassment needed! It’s a great little pen, I’m sure you’ll like it. I love these. Cutest colours ever. Cutest pens. They’re pretty great. Definitely write on par with the Kaweco I have. How long does it take for the ink to dry? I’m looking for a pen to go with my pocket notebook, but I’d hate to be waiting 30 seconds for my notes to dry, every time I jot something down. Shouldn’t be too long, it really depends on the paper that you use as well. It’s going to take a while to dry on Rhodia, but if you’re using something like Field Notes, you should be fine. That’s not to say there might be some bleeding or feathering though. I use the pocket-size Apica notebooks. I should’ve mentioned that earlier. Did you get around to seeing if this pen will convert to an eye dropper? I’d be afraid of the cheaper plastic cracking though.  It is a bit more robust than the Platinum Preppy – which I have done the conversion to. I think I’d file this under “at your own risk”. Important to note: the Pilot ink cartridges that are compatible with Pilot’s Petit series have a plastic disk inside that acts as a seal until you insert the cartridge and the plastic feed ‘breaks’ the seal, but if that disk ends up touching the feed, ALL of the ink will deposit in the internal chamber and cause leaking at the nib. To avoid this, either convert it to an eyedropper as suggested, or move the disk farther down into the ink by CAREFULLY removing the entire cartridge just after breaking the seal and using a toothpick or similarly slim non-absorbent item to push the disk nearer to the middle. 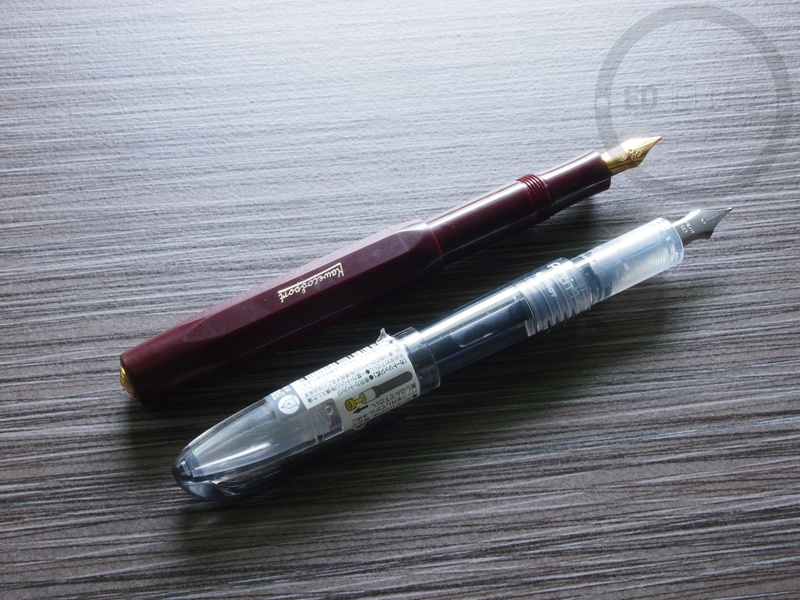 After reinserting the cartridge, you’ll find the ink in the pen’s reservoir near the nib will empty back into the cartridge and your pen will not leak nor write as wetly. I have had to do this with the entire series, but they’re still worth buying for the convenience and fun of interchanging the cartridges and colorful barrels/caps between the fountain pens (Petit1), sign pens (Petit2 – has a nice marker tip), and fude pens (Petit3, with sturdy brush tip). Petit2 & Petit3 are $2.90 and Petit1 is $3.80 at JetPens.com, my favorite for great customer service & fast shipping. Great tip! I haven’t had that problem, however I haven’t used the pens too much. I went through one ink cartridge with no problems in the fountain pen, and admittedly put the pen aside after that. Maybe I’ll have to break it out and do an eyedropper conversion now!